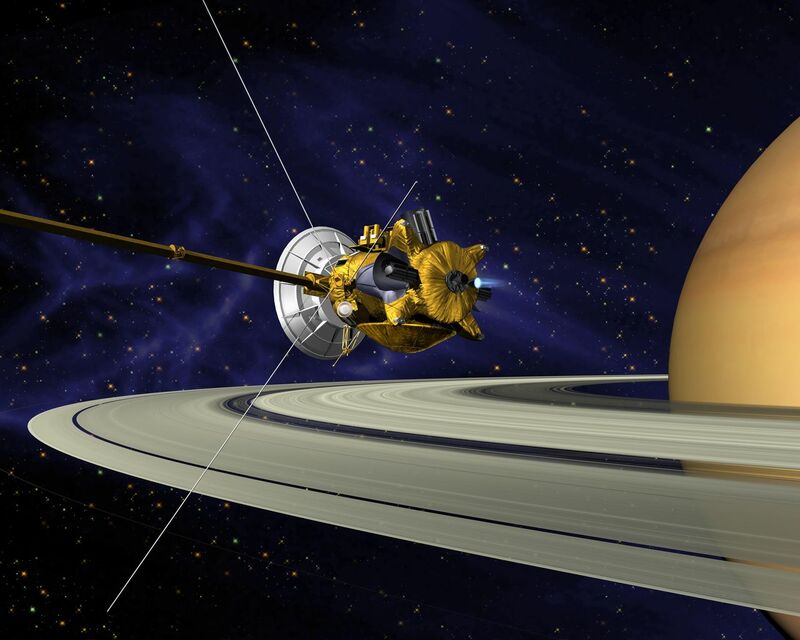 This is an artists concept of Cassini during the Saturn Orbit Insertion (SOI) maneuver, just after the main engine has begun firing. 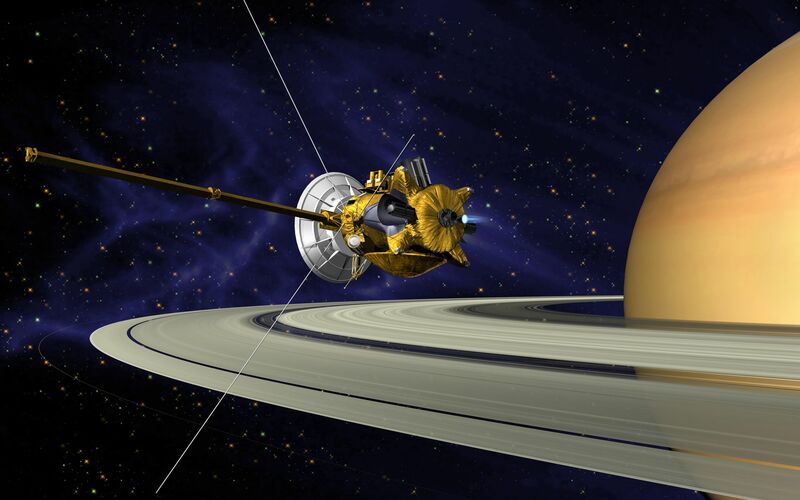 The spacecraft is moving out of the plane of the page and to the right (firing to reduce its spacecraft velocity with respect to Saturn) and has just crossed the ring plane. 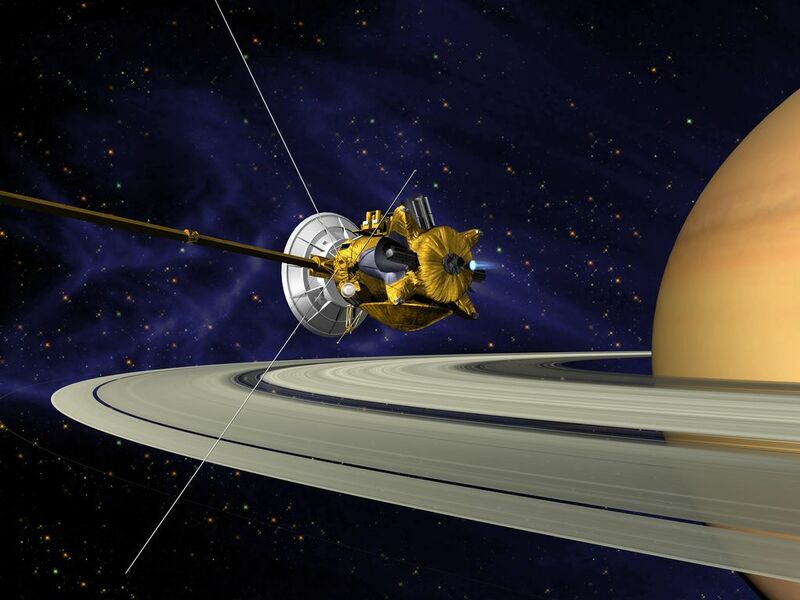 The SOI maneuver, which is approximately 90 minutes long, will allow Cassini to be captured by Saturn's gravity into a five-month orbit.Cassini's close proximity to the planet after the maneuver offers a unique opportunity to observe Saturn and its rings at extremely high resolution.